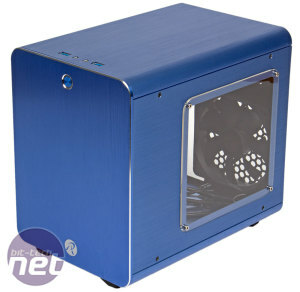 The Metis was one of the products we saw at Raijintek's stand last year at Computex. 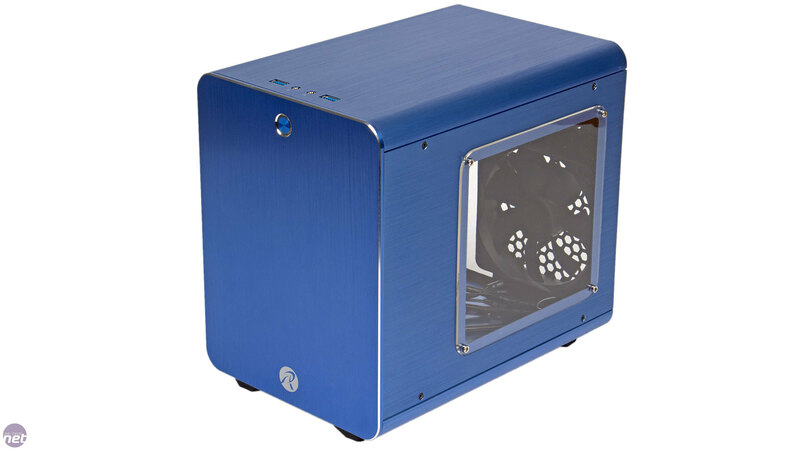 It's a very smart looking budget mini-ITX cube case with rounded corners and an aluminium exterior. The brushed finish on the aluminium is truly exceptional, especially so when you consider the budget price tag - the panels are 1.5mm thick. The case is definitely lightweight but the build quality overall is excellent; astonishing in fact for this end of the market. Looks-wise as well, the Metis is a real winner in our books, with a clean, minimalist aesthetic and no unsightly or uneven gaps where the panels meet, and better yet it's available in many different colours and as a windowed or windowless version (Metis Classic) depending on your preference. 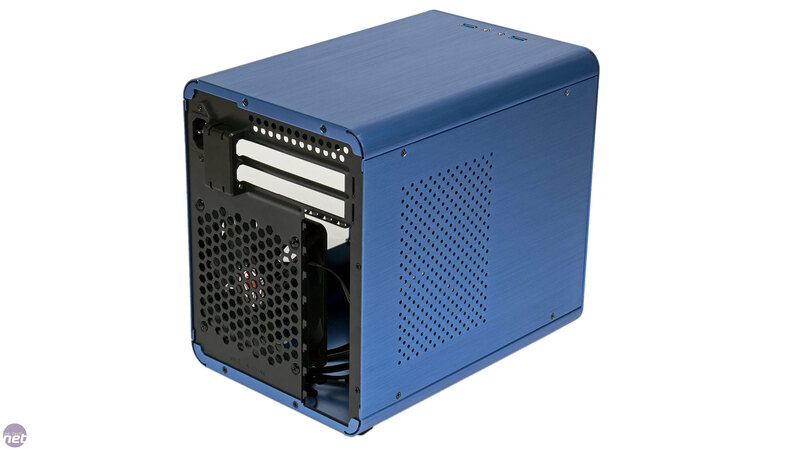 For the money, we think you'd struggle to find a better looking or better built mini-ITX chassis. 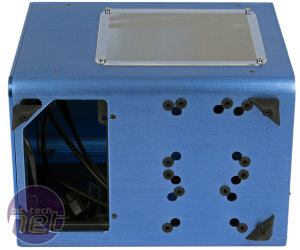 The front panel is completed with a silver trim, and is empty other than the Raijintek logo and the centre-top power button, which is satisfying to press rather than being loose or wobbly as it often can be on cheaper chassis. There is no reset button, nor is there support for any optical drives, as there simply isn't room, but these are things we can live without. The I/O panel, which helpfully includes two USB 3 ports, is found at the front of the roof, which is otherwise empty as well. Due to its unusual internal design (see over the page), the window is fitted to the right panel. It's a basic affair – a single sheet of acrylic fixed externally with four hex screws – but it does the job and it's hard to complain given that it's a £4 upgrade over the windowless version. The opposite side panel has a ventilated section comprising a series of small circular holes dotted in a large rectangular pattern. There's no dust filter for it, but that's okay since it's not a fan mount or even really an intake area of any significance. 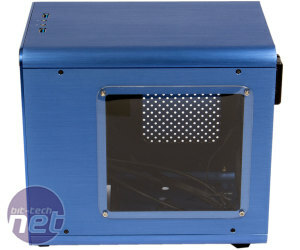 It mainly provides an area for heat to escape from the rear of the motherboard tray. 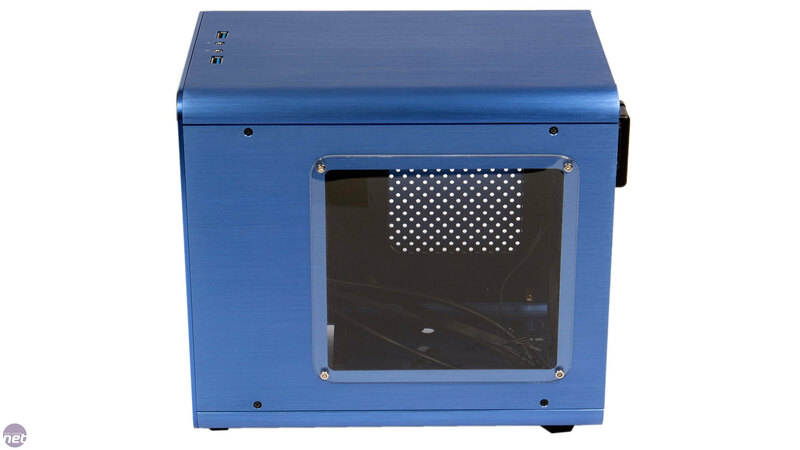 At the back we find the case's only fan, a 120mm exhaust – unfortunately there is no room to expand the case's cooling beyond this by default, so the Metis isn't going to be the next king of cooling. 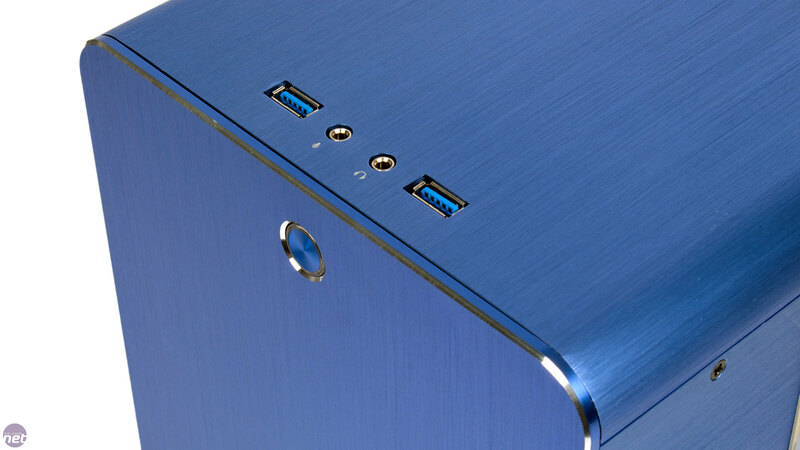 There's also the standard power plug, though inside this is routed through to where the PSU is mounted at the front. 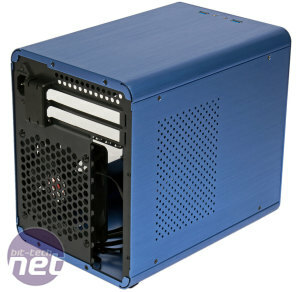 There are also two expansion slots and a small ventilated area above them which serves the internal 3.5-inch hard drive mount. Finally, the Metis is supported by four rubber feet, which give it very good grip on smooth surfaces despite its low weight. 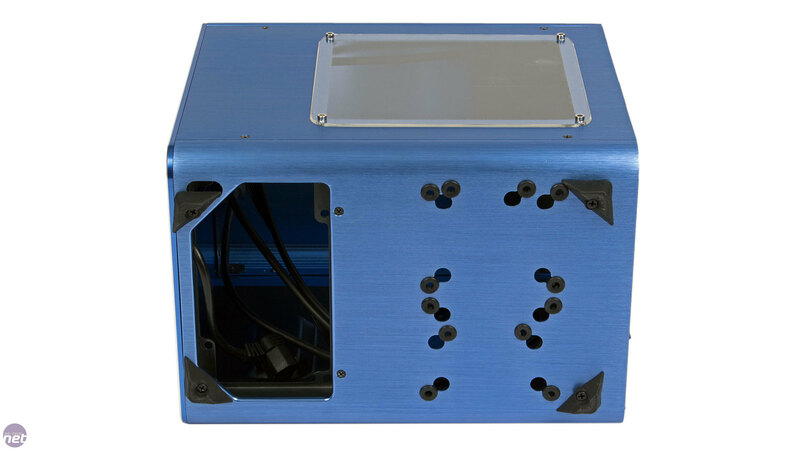 You can also see some rubber grommets, which are for the floor-mounted 2.5-inch drives, as well as a big open space which is where the rear of your PSU goes.